Keeping your relationship healthy can not be that difficult. We as men actually make it much more difficult then it has to be. We just do dumb stuff that leads to us being in a hole too deep to get out of. We lose site of what we did in the beginning to get our woman then we end up losing them. There are 4 simple things that if you consistently do will better your chances of keeping your relationship healthy. If you constantly make your woman laugh, be honest with your woman, loyal to your woman, and give her the necessary quality time. I guarantee you she will stick with you. The initial recommendation is to make her laugh. No matter who the person, everybody loves to laugh. Why wouldst you want to see your woman smile? A smile represents positivity. So take a smile as you making your relationship positive. I’m not saying be extra but do things that make your lady smile. It’s simple as that. The second thing is to be honest. All women ask for honesty so give it to them. I know how difficult how being honest can be in some situations but they asked for it so give it to them. If you are doing what you are supposed to be doing in your relationship, then you wont have to worry about being honest because everything is on the table. A woman’s mind is constantly in overdrive. So your best bet is to give her nothing to think about. For example; if she askes to see your cell phone then let her. Questioning her motives provides her with incentive to question your truthfulness. However, do not get it twisted. If she sneaks in your phone that is disrespectful. Best believe when you go to take a shower and she goes thru your phone and happens to not find anything, YOU WILL NOT KNOW. When she ask you a question, please fellas just tell the truth. More than likely she knows the answer to the question already. She’s just testing to see if you are going to tell the truth. LOYALTY! Loyalty nowadays is a lost trait amongst humans. Not only in relationships but in general. Loyalty is a difficult thing for people who are just starting a relationship. When you’re beginning a relationship you also have a past and things that you have been loyal to before. The best thing to do is to sit down with yourself and do some pro’s vs. con’s. You might have had a specific schedule or very open schedule when you were single but you are going to have to change that a little to reach the median in a relationship. You have to be honest with yourself. If it will bring negativity to the relationship, then it is something that can be put to the side. If it is just one thing a woman wants from her partner, it is definitely TIME! You also have to draw a line between your friends and your partner. Often in relationships people don’t draw that line and that leaves no boundaries set. Just because she does not state she is not receiving enough time, it is up to recognize. Never, I mean never let your woman feel like your loyalty is not 100% to her. If you really want to succeed in your relationship then loyalty is required. Which brings me to my next point. Quality time is required. Time spent together is a necessity in a healthy relationship. If you do not spend the necessary quality time with your partner then you will not be able to accurately know your partner. Often in relationships people worry bout the big traits of there partner. However, it’s the small things about your partner that you should know. You should know things about her that a normal person in her life should not. You will get to know those things due to consistent quality time. A woman feels if you’re not spending time with her when you are free then who are you spending it with. It might be that you are with the fellas just chillin’. But in her head she’s thinking, “Why not me?” Please take it from me, no woman likes playing second place. Sure she might say “it’s cool” that you’re not with her but believe me she’s not happy. Coming home over her crib after you are done with everything else will definitely bring up a red flag. The question that will present itself is why don’t you want to spend time with your woman? 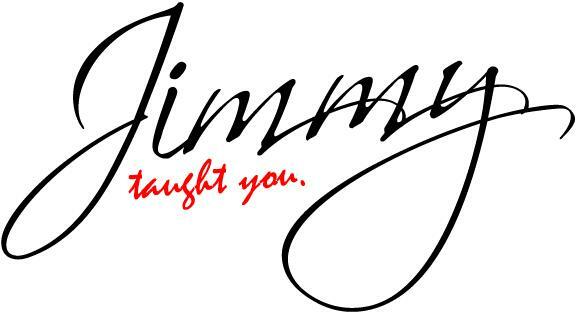 You are currently browsing the jimmytaughtyou blog archives for April, 2012.